Win 'Spooks: The Greater Good' on Blu-ray! Posted September 30, 2015 by William Martin & filed under Win. Don’t miss Game of Thrones star Kit Harington in his most action-packed role to date as agent Will Holloway, in the gripping espionage thriller based on the award winning TV series, Spooks. > Buy Spooks: The Greater Good on Amazon. 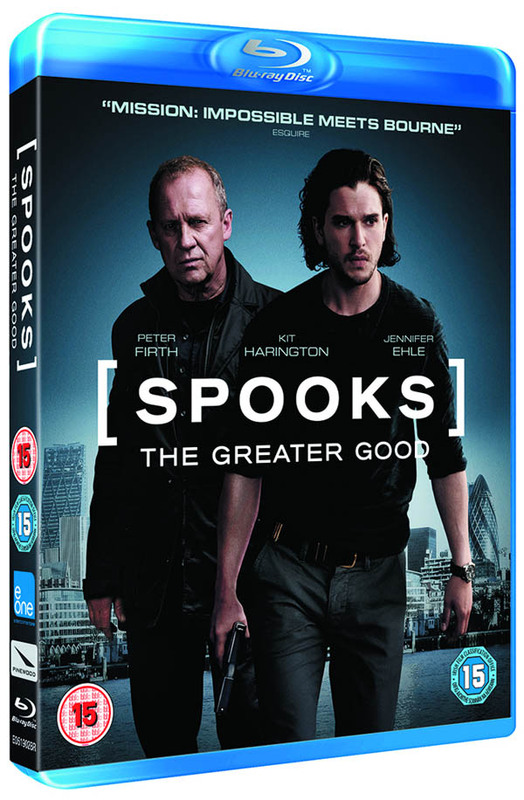 To celebrate the release of Spooks: The Greater Good on Blu-ray™ and DVD on Monday 28 September, courtesy of Entertainment One, we’ve got Blu-rays to give away to 4 of our Twitter followers! When charismatic terrorist Adem Qasim (Gabel) escapes from MI5 custody during a high profile handover, legendary operative Harry Pearce (Firth), Head of Counter-Terrorism, is blamed. Disgraced and forced to resign, Harry disappears without a trace. With MI5 on its knees in the wake of the Qasim debacle and facing controversial reform, former agent Will Holloway (Harington) is brought back from Moscow to discover the truth about Harry’s disappearance and in doing so, uncovers a shocking revelation; Harry is still alive, has gone rogue and desperately needs Will’s help. This competition has now closed. The winners are Nicola Bell from Milton Keynes, Piper Spring from Kendal, Hugh Bailey from Ashford and Diana Shaw from Hassocks.